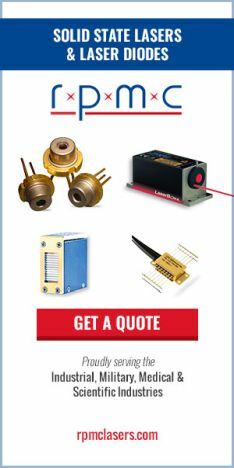 The RP Photonics Buyer's Guide contains 10 suppliers for YLF lasers. Ask RP Photonics about the design of YLF lasers, e.g. for Q-switched pulses. The term YLF laser is usually used for lasers based on neodymium-doped YLF (Nd3+:YLF) crystals, although there are other rare-earth-doped YLF crystals, e.g. with ytterbium, erbium, thulium, holmium or praseodymium doping. YLF is the acronym for yttrium lithium fluoride (YLiF4). Due to the similar size, yttrium ions can be replaced with laser-active rare earth ions without strongly affecting the lattice structure. YLF is birefringent, which eliminates thermally induced depolarization loss. Also, the gain and the emission wavelength of Nd:YLF are polarization-dependent: there is the stronger 1047-nm line for π polarization, and a weaker one at 1053 nm for σ polarization. The 1053-nm line fits well to the gain peak of Nd:glass, which makes Nd:YLF seed lasers and preamplifiers suitable for Nd:glass amplifier chains. There are additional transitions at 1321 nm (π) and 1313 nm (σ), which allow for, e.g., red light generation via frequency doubling. The negative thermo-optic coefficient dn / dT leads to a defocusing thermal lens, which may be approximately compensated by the focusing lens from bulging of the end faces, if a suitable design is chosen. Nd:YLF lasers can be diode-pumped or lamp-pumped. Compared with Nd:YAG (→ YAG lasers), Nd:YLF has a lower thermal conductivity, but nevertheless exhibits weaker thermal distortions (due to the weakly negative dn / dT), thus allows a better beam quality, has significantly anisotropic thermal expansion and a lower fracture resistance (limiting the output power), and a longer upper-state lifetime (which is favorable for, e.g., diode-pumped Q-switched lasers with high pulse energy). Another remarkable feature is the high UV transparency, which is favorable for pumping with xenon flashlamps.